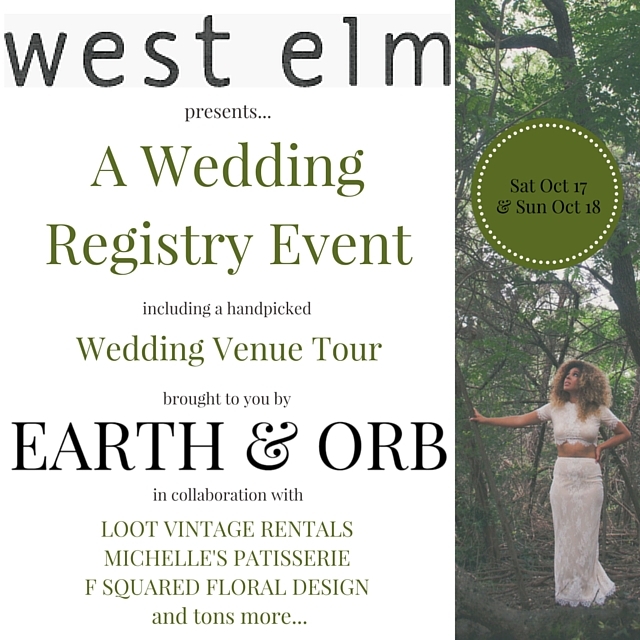 Earth + Orb and West Elm Austin invites you to come see the best Austin has to offer in the wedding industry. On Saturday October 17th take a tour of Austin's top venues hand picked by Earth + Orb. On Sunday October 18th West Elm Austin Invites you to preview there wedding registry and shop top local vendors to supply all your wedding needs. Tickets are limited so act fast! Get your ticket, here.